Our Ceramic Membrane Water Treatment Plant is extensively used textile effluent removal and oilfield water treatment pilot plant. Quite easy to operate, this Ceramic Membrane Water Treatment Plant is also used in food industry for the extraction of sugar, starches and juices. 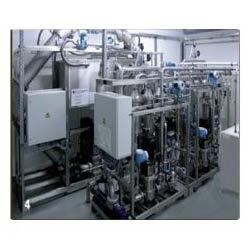 Also, this Ceramic Membrane Water Treatment Plant is offered for requirements of chemical industry.